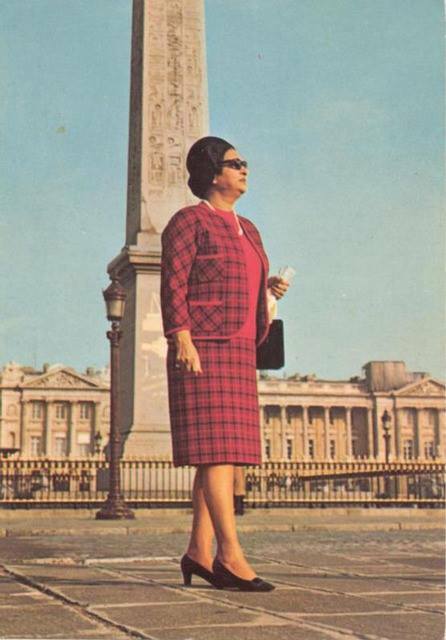 Here is a great song that showcases the immense talent of Egypt's greatest singer, Om Kalsoum, nicknamed by the Egyptians "the fourth Pyramid" or simply "the Lady". Om (or Oum, Omm, Omme, Oom, Um, Umm) Kalsoum (or Kalsum, Kaltsoum, Kalthoum, Kalthum, Kalthoom, Khalsoum, Khalsum, Khalthoum, Khalthum, Kaltoum, Kolsoum, Kolsum, Kolthoum, Kolthum, Kolthom, Koolsum, Koulsoum, Koulsoun, Koulthoum, Kultum, Kulthum, Kulthume, Kelthoom, etc.) 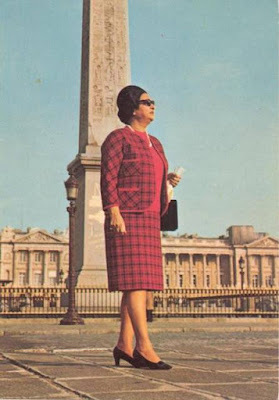 (1904 - 1975) is one of the best known and most beloved of all singers in the Arab world, and her albums still outsell many others in the Arabic language. Om Kalsoum's songs deal mostly with the universal themes of love, longing, and loss. They are nothing short of epic in scale, with durations measured in hours rather than minutes. A typical Om Kalsoum concert consisted of the performance of a single song over a period of six or more hours. These performances are in some ways reminiscent of Western opera, consisting of long vocal passages linked by shorter orchestral interludes. The duration of her songs in performance was not fixed, but varied based on the level of emotive interaction between the singer and her audience. 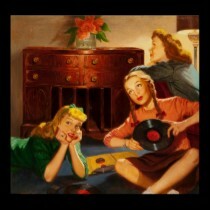 A typical technique of hers was to repeat a single phrase or sentence of a song's lyrics over and over, subtly altering the emotive emphasis and intensity each time. This intense, highly personalised creative relationship, was undoubtedly one of the reasons for her tremendous success as an artist. 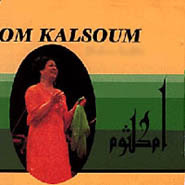 Om Kalsoum has been a significant influence on a number of musicians, both in the Arab world and beyond. 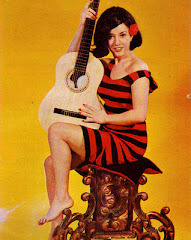 She is remembered in the Arab world as one of the greatest singers who ever lived. She has attained a near mythical status, even to this day, among young Arabs. She is also notably popular in Israel among Jews and Arabs alike. Listen to her extraordinary voice and style and enjoy!